Stanchion Ropes provide a convenient way of managing crowd control while still upholding the decorative appeal of the event. This stanchion rope has braided detailing and is accented with mirror polished hook ends that pairs well with our black stanchion poles. 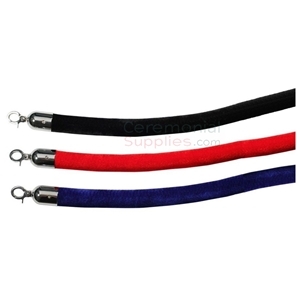 The dark complexion and braided detailing of this Stanchion Rope provides a sleek look that will enhance the prestigious appeal of any event immensely. For black and white themed occasions, this Braided Stanchion Rope perfectly compliments the color scheme while also serving the purpose of managing crowd control. Why should you ever have to sacrifice style over safety? 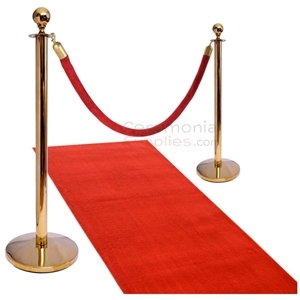 Our Stanchion Ropes offer the best of both worlds.